A short mention to congratulate Mitch and Cameron regarding their first team debuts which occurred playing for their respective clubs in the 2nd round of the Carabao Cup. Not only was it surely an exhilarating experience for them but they can also take pride from the reports of performances more than adequate whilst doing so. Tyler, having numerous first team appearances to his credit already will now add more, as he has now started a loan period with Walsall. Congratulations are in order for him as well, having scored in his first appearance with them. Cole is now a member of the Chelsea U-23 squad having navigated his way through schoolboy and youth football and arrived into the large pool of professional players employed by the club. He has represented Wales at each level as the years have moved along, the latest of those being his involvement in the team that featured in the summer U-20 tournament at Toulon. Those of us that follow the careers of these young players would tend to place Cole in the category of wing backs and this is largely correct, however, he has also been deployed further upfield at times as what one might describe as an attacking winger. When this has been the case, he has exhibited a goal scoring ability, providing another feature in the versatile way that he can assist a team. As already mentioned, Chelsea have a plethora of players on their books and utilize them in a variety of ways including loan arrangements for many. With most of those done prior to the start of the season, this would not seem to be what Cole will face this season, but could be instigated if it is deemed to be beneficial in his development. As Cardiff reorganized the priorities of their development system, Tom along with other more senior members of the U-23 squad were allowed to move on as a means of trying to progress their careers. This saw him join Yeovil shortly after the turn of the year as he became a member of their first team squad. As the season moved toward its conclusion, he only managed very limited minutes on the pitch and was almost exclusively on the bench. This season, Tom has already featured in a couple of matches and seems to be gaining the opportunity to try and establish himself as a regular member of the team. Over the years, Tom has received plaudits for some of his performances and seemed to be comfortable in dealing with the demands of U-23 football in the first half of last season. Now, it will be a case of how he and the team deal with some of the defensive frailties that have been apparent so far, a situation that will place them in danger of relegation if not solved. It will take determined characters to provide a stability that the team needs in order to solve this issue. Hopefully Tom, and Keston Davies another defensive recruit loaned to the club will show that have enough resolve to assist the team in changing the statistics in a positive manner. Joe�s first experience in the Bristol City team came as a 16 year old debutant in an EFL Trophy match four seasons ago and though it was accepted that it was a game used to provide time on the field for fringe members of the squad, it did seem to be a sign things were moving in a positive fashion for the then scholar at the club. Somewhat surprisingly, a next appearance wearing the first team shirt did not come for well over 2 years as Joe was on the bench for an FA Cup tie. A second appearance on the field for the team came in the first round of the EFL Cup a couple of weeks or so ago. This is certainly not what would have been predicted, but to Joe�s credit he was given a lot of praise in a recent quoted interview with his manager, being given high marks for both his ability and attitude. Nevertheless, he does seem to have a tough task to become a member of the matchday squad in the near term. We will just have to wait and see how the future unfolds for him as I am sure he will put every effort possible into making that breakthrough that he desires. In far more instances than not, determination and dedication are rewarded and as we all know things can change quite quickly in the football world at times. On occasion, a lucky break or two (something many of us need to have success in our lives and I most certainly count myself as one of those) can propel things forward in remarkable fashion and we hope that Joe can capitalize on such instances should they occur. 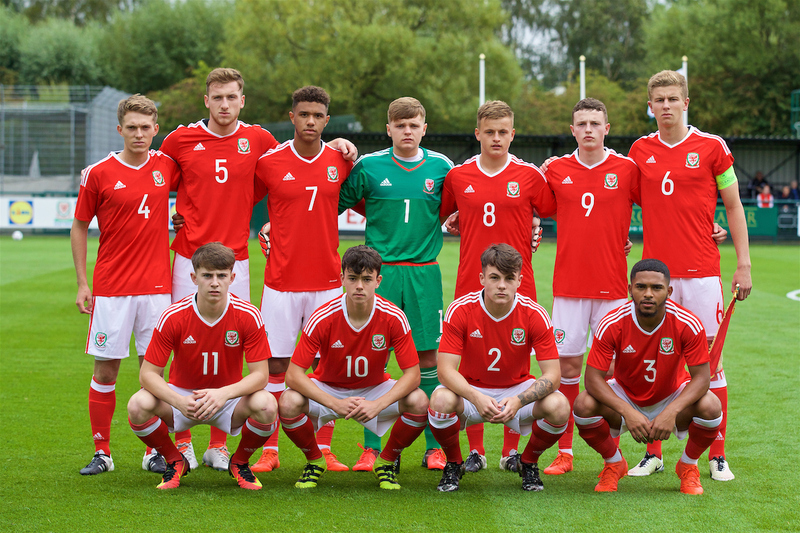 The recent announcement of the Wales U-21 squad has in fact seen Joe�s name included in a list of standby players and this should give him some encouragement that his talent is being recognized. The squad is mainly made up of those who performed quite admirably at Toulon in the summer tournament, most of the remainder being those who would have been involved but for unavailability. I certainly do not question those selected, it does seem to bode well that one can these days wonder about omissions rather than selections, such is the strength of the pool of players which are thought to be worthy of consideration. Even so, the team will need to have some excellent performances to have any sort of success in their first 2 matches, difficult seems to be a possible understatement in how the start of their qualifying campaign could be described. Wishing them all the very best when they take the field. My apologies that this week�s effort is probably later than was expected. It was in fact ready to be delivered to Neil at the usual time but Harvey conspired to deny me having an ability to communicate for a few days and thereby delaying the process of providing him a copy.